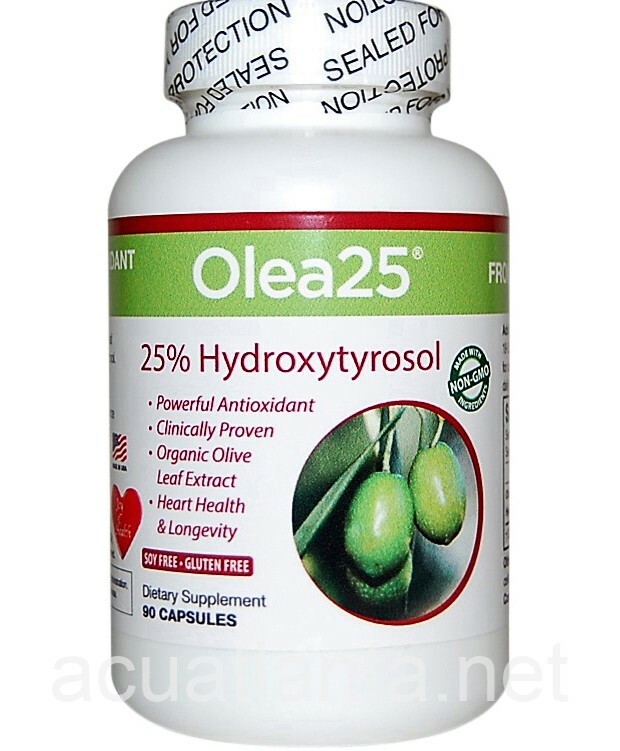 Olea25 contains hydroxytyrosol found in food grade natural organic olive leaf extract which provides anti-inflammatory properties. 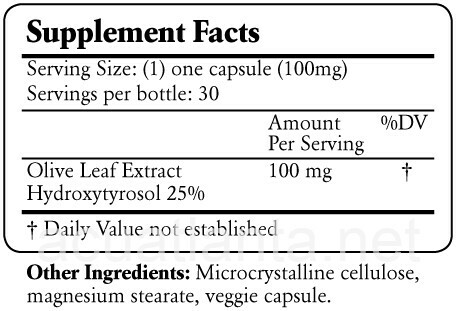 Studies have shown that hydroxytyrosol supports normal heart health, neurological function and protects against bone loss. The Oxygen Radical Absorbance Capacity (ORAC) of Olea25 is 15 times higher than green tea and 3 times higher than CoQ10, making it the most powerful antioxidant found to date. Olive leaf extract slows down the aging process and has a long traditional history as a medicinal herb used since ancient times.